We're hosting the Yorkshire VR event. Meet up with other enthusiasts and try the latest technology including the Microsoft HoloLens and the Oculus Rift with Touch controllers. At the Eden Agency offices we host the Yorkshire Virtual Reality meetup. The meetup aims to bring together enthusiasts of the latest VR, AR and MR devices. Our next meetup is on Thursday 27th July and we have a new piece of technology to showcase. Since our last meetup we backed an exciting Kickstarter campaign, ZapBox. This Mixed Reality device aims to bring the tech to everyone, due to it's affordable price. The product is just in beta now and we are really enjoying it! At this meetup we will have most of the tech that is readily available right now. This includes the HTC Vive, the Oculus Rift (with Touch controllers) and the Microsoft HoloLens. We will also have various mobile devices to try so there is something for everyone. We've recently been listed as top AR/VR developers by Clutch and in this meetup we are going to take the opportunity to showcase our latest product - PowerUp. 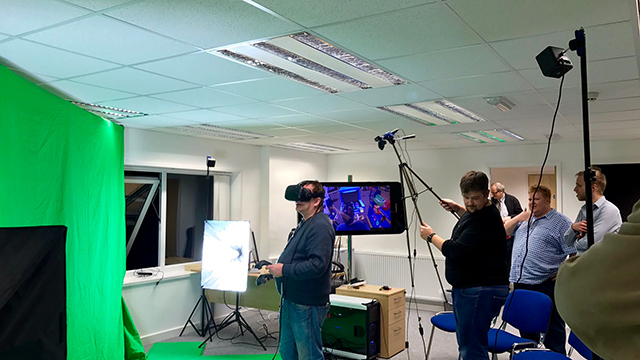 A Virtual Reality production studio that creates VR solutions for exhibition stand attractions. 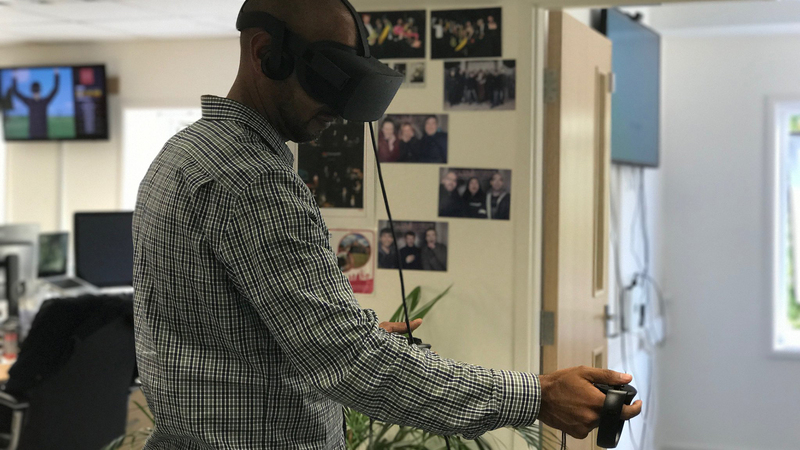 As PowerUp, we offer a selection of off-the-shelf Virtual Reality games and experiences as well as bespoke VR productions. Interested in coming to our meetup? RSVP. Job Simulator on the HTC Vive, Yorkshire VR.